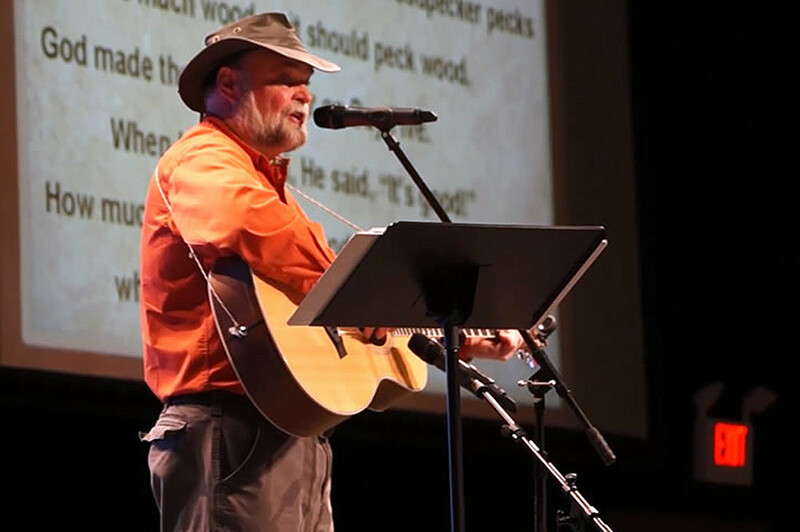 Buddy Davis is a popular speaker and book writer/illustrator for our parent ministry, Answers in Genesis, as well as an adventurer, singer/songwriter, and dinosaur sculptor. Buddy has also become a guest favorite at the Creation Museum. As you walk through the Creation Museum, you can visit Buddy’s Dino Den, where you will meet dinosaurs of all sizes that he has sculpted and learn about their incredible design from a biblical worldview. You might even be able to catch one of his concerts during your trip as well! Well, did you know you could join Buddy on exciting adventures as well? Check out what opportunities are available for you and your children in 2019! Your first opportunity to explore with Buddy is March 16¬–17, 2019, with our Creation Caving Adventure in the breathtaking Cumberland Caverns, located in McMinnville, Tennessee. Grab a flashlight, lace up your hiking boots, and see what waits beneath the surface! 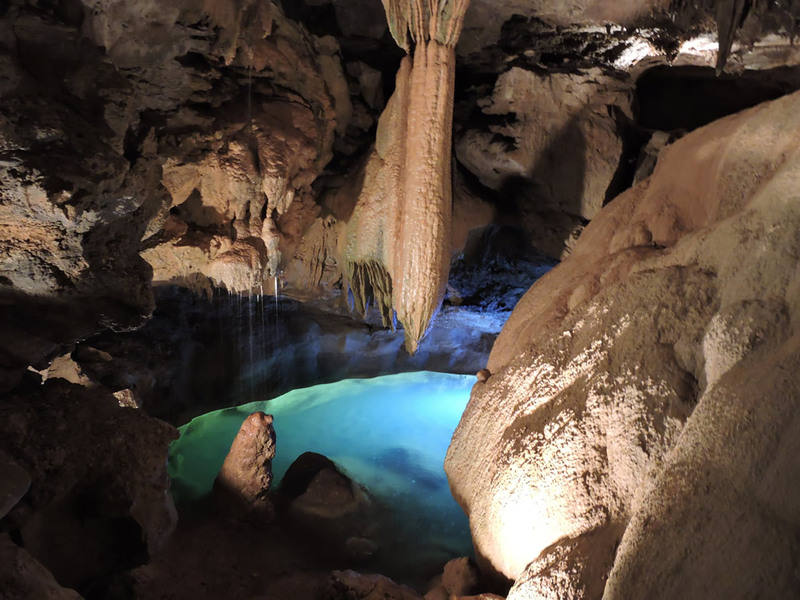 This guided tour includes views of historic saltpeter artifacts, gleaming pools, and a waterfall, and you’ll also discover how the caves formed according to the history found in God’s Word. For our more adventurous guests, one of the highlights of the evening will be the opportunity to go wild cave spelunking, and you also have the opportunity to spend the night in the cave! Do you have a dinosaur-loving child? If so, Explore Dinosaurs on Friday, May 24, 2019, is the place for them! 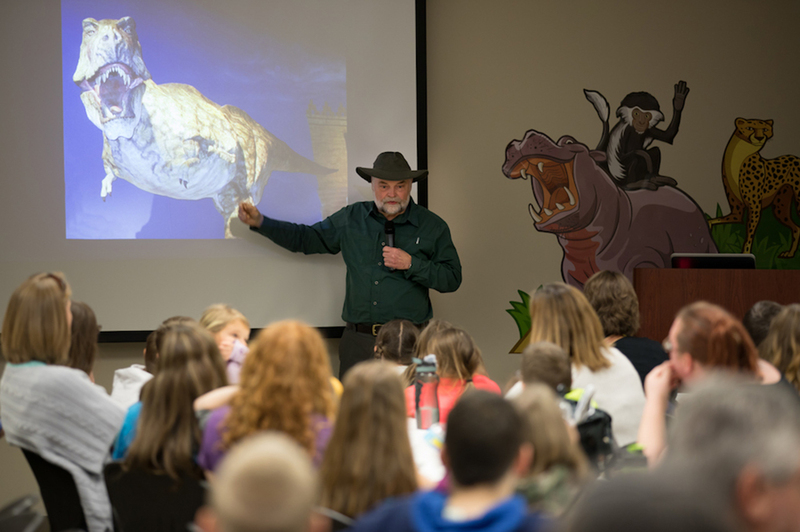 Buddy and Dr. David Menton will give your children an in-depth look at dinosaurs as they learn about dino-detectives, dinosaur sculpting, reptile versus bird anatomy, and dragons in the Bible through this full-day program for students in grades 4–12. Where can you explore mountains and rivers, pan for gold, and see tundra wildlife? In the last frontier—wild Alaska, of course! 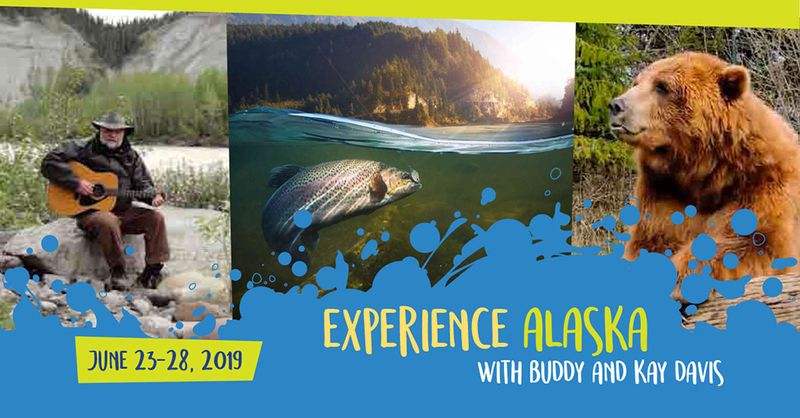 You can tour this gorgeous state with Buddy and his wife, Kay, by joining them on a Living Passages trip, June 23–28, 2019! You’ll enjoy hiking, fishing, exploring, panning for gold, learning about God’s creation from Buddy and Kay, and so much more. Stay in unique cabins and lodges in the heart of Alaska and see the highest peak in North America: Denali (formerly Mt. McKinley). 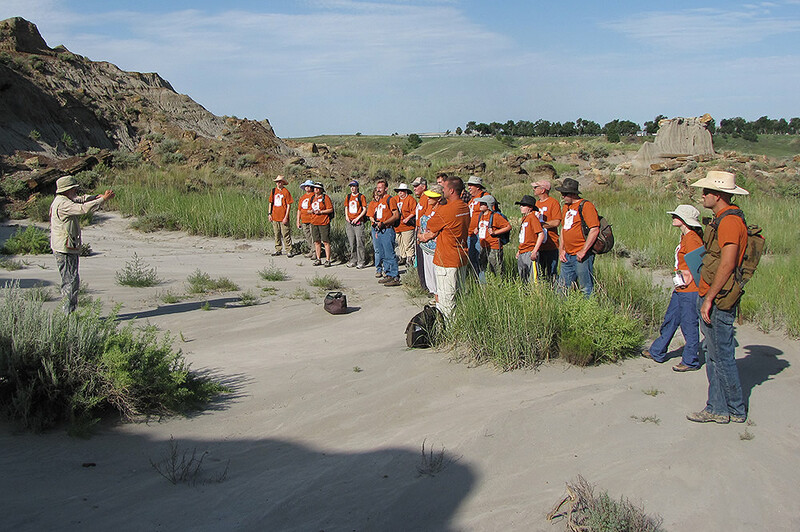 Head to eastern Montana July 22–26, 2019, for the Dinosaur Dig with Buddy, which only happens every two years! Your hard work digging in the dirt is sure to be rewarded with some unique fossil finds. Previous groups have found dinosaur bones and teeth—including some from T. Rex and Triceratops—turtle bones and shells, figs, petrified wood, and more. You’ll even enjoy bringing some fossils home with you! With many adventures under his belt, Buddy certainly has his fair share of crazy stories to tell! And he’s finally put 60 of his favorite adventure stories—including some from when he was a boy—into a book for everyone to enjoy. Buddy’s Crazy True-Life Adventures will make you feel like you’re sitting around the campfire with Buddy, listening to him tell his stories as only he can. These stories are also woven with lessons that will impact hearts and souls, so you’re sure to be encouraged in your own walk with the Lord. 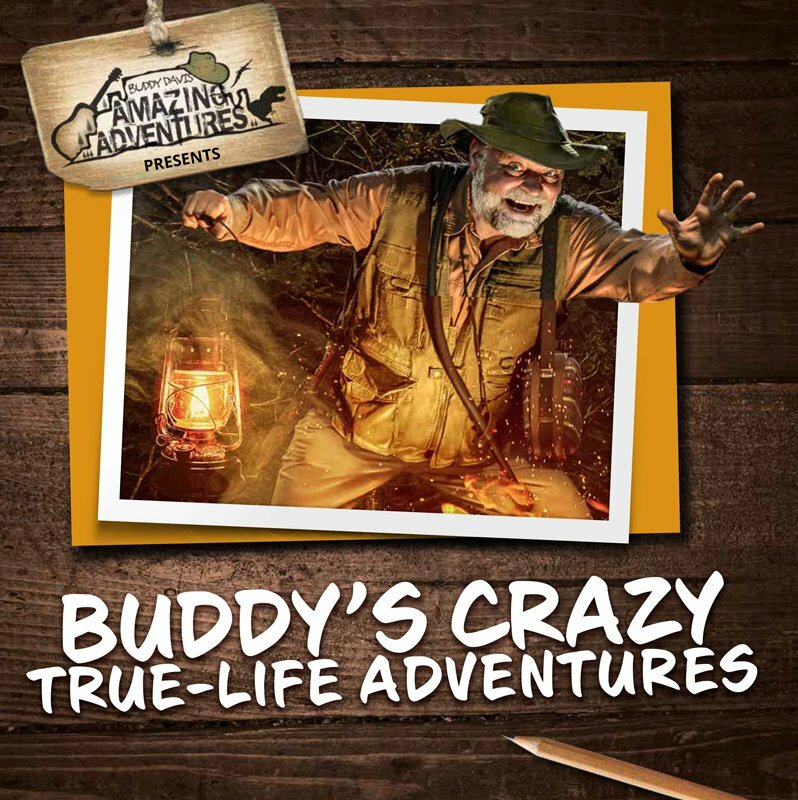 Grab a copy of Buddy’s Crazy True-Life Adventures during your next visit to the Creation Museum, or order it from our online store today and begin preparing for your next adventure with Buddy!